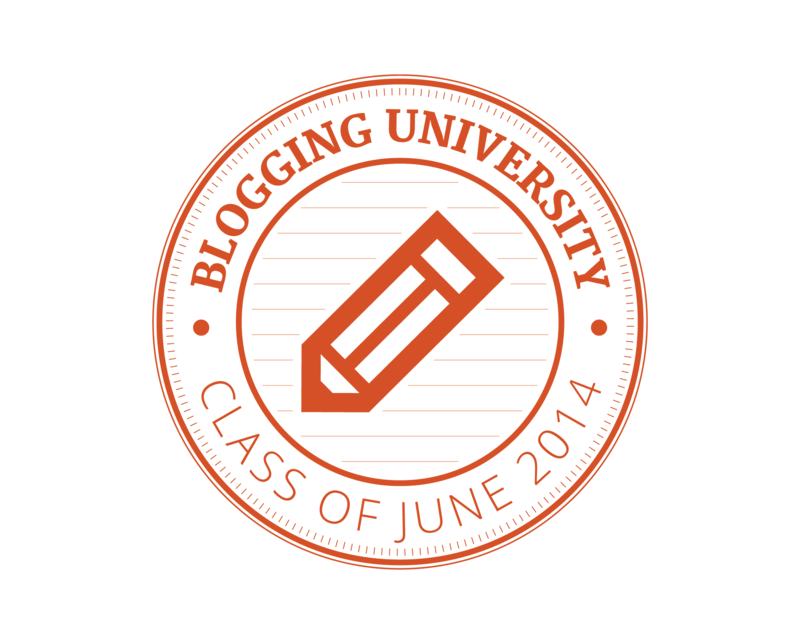 Welcome to another Ladies I Love edition of the A to Z Challenge! Today’s letter is Q, for QUEEN. Specifically, I’ll be introducing you to four queens from Lewis Carroll‘s books “Alice’s Adventures in Wonderland” and “Through the Looking-Glass“. I’m a huge fan of these two books and have several editions of them at home – I even memorized “The Jabberwocky” in seventh grade and can still recite it! And did you ever notice that Wonderland and Looking-Glass Land are actually Queendoms? It’s the queens who rule these lands, and even though the kings are there, they’re pretty wimpy and submissive to the queens, who are able to rule with gusto. If you are interested in Alice’s Wonderland adventures, there’s a great wiki that you should visit – you can find it here. But let’s get on with the business at hand! First, there’s only one queen in “Alice’s Adventures in Wonderland” and I’ll bet you can guess who that is – that’s right, the Queen of Hearts! But don’t get confused – she is also sometimes mistakenly referred to as “The Red Queen”, whom I will introduce in a moment. 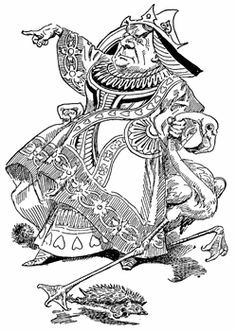 The Queen of Hearts is actually one of a pack of cards who enjoys playing croquet (using hedgehogs for balls and flamingos for mallets), and of course, handing out death sentences like they are going out of style by yelling “off with her head!” should anyone look crosswise at her. Fortunately, the king is there to discreetly pardon most of the convicted, but if it’s all the same, I wouldn’t want to get on the Queen of Heart’s bad side! 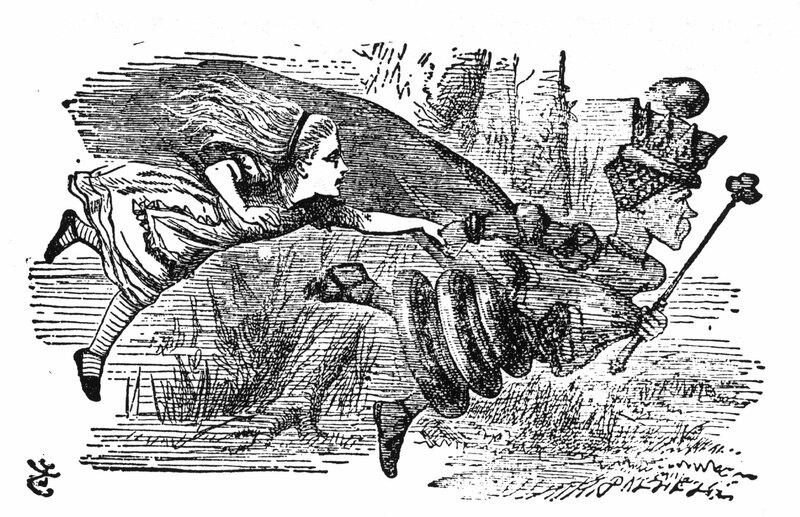 The Red Queen drags Alice across the chess board (illustration by John Tenniel). In the end, Alice does get to the 9th square to become a queen in her own right. The White Queen meanders off and disappears, but the Red Queen continues to cause trouble for Alice, who decides to shake some sense into the Red Queen. The Red Queen then transforms into Alice’s black kitten and Alice wakes from her dream…having defeated the Red Queen (and King) and won her game of chess. 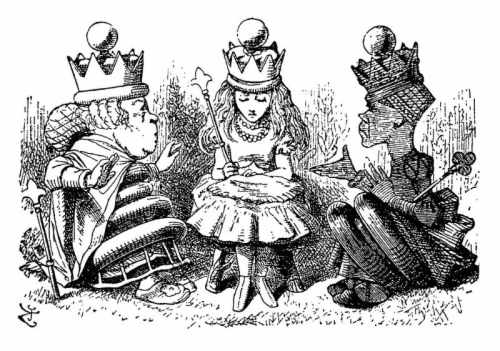 The three queens of Looking-Glass Land: the White Queen, Alice, and the Red Queen (Illustration by John Tenniel). To be honest, the Queens are not my favorite characters in Alice’s adventures – I rather enjoy the Cheshire Cat (no surprise there, right?) and the Mad Hatter. But they are both male, and well, I needed to write about Ladies for this Challenge. But the queens are no less fascinating than any of other Lewis Carroll’s inventions! Who is your favorite character in these stories, or do you have another fairy tale that you connect with? I remember being really scared by Alice in WOnderland, I think it was the idea of being lost and no one giving her a straight answer. 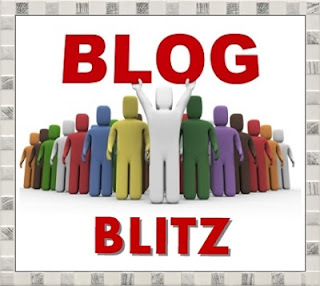 Nice to meet and connect through the atozchallenge. I need to put both of these into my tbr pile. I’ve wanted to read them for ages, but like the Red Queen says, It’s taking all the running I can do to barely keep up! I always loved Alice in Wonderland. A couple of years ago touring in the UK we were told most Hatters were made due to the glue they inhaled ! I’ve not read Through the Looking Glass. I need to add that to my TBR list. I think my favorite character is the Mad Hatter.